As English period dramas go, Downton Abbey might seem like the gold standard, with its classicism and unapologetic nostalgia for a bygone Britain. While two newer series, Vanity Fair and A Very English Scandal, do not share Downton's airlessness and rose-tinted romanticism, they prove no less entertaining. And in their dissection of the social dynamics of their respective eras, they are a good deal sharper and more relevant. Vanity Fair, the latest interpretation of the classic 1848 William Thackeray novel, follows the fortunes of a relentless social climber by the name of Becky Sharp. Played by Olivia Clarke - who starred in Steven Spielberg's science-fiction flick Ready Player One this year - she is an orphan determined to claw her way out of the social stratum that the class-obsessed British society insists she stays in. And she will do so by nearly any means, including scheming, seducing, lying, cheating and deploying her considerable charm. The slings and arrows of fortune take her, Forrest Gump-like, from teaching at a girls' school to being a governess for a Member of Parliament, and then to the Battle of Waterloo and finally the court of King George IV. This is far from the first adaptation of this story, and one that on paper, no one thought was needed. But this spin on Thackeray's eagle-eyed takedown of what he describes as "a world where everyone is striving for what is not worth having" feels fresh and strangely contemporary in tone, style and feel for the nuances of human dynamics. Much of this is down to the timelessness of Thackeray's insights. In Clarke's hands, however, this witty, sassy and irrepressible anti-heroine is impossible not to cheer for even as she is behaving badly - especially when others, less transparent in their social striving, are outfoxed by her after treating her with contempt. The viewer is also partial to her because she addresses him directly, sharing conspiratorial looks and eloquent eye rolls and, occasionally, her heart. There is a kinetic energy that propels the show forward with a sort of gossipy glee, a quality sorely lacking not just in TV period dramas but dramas, period. 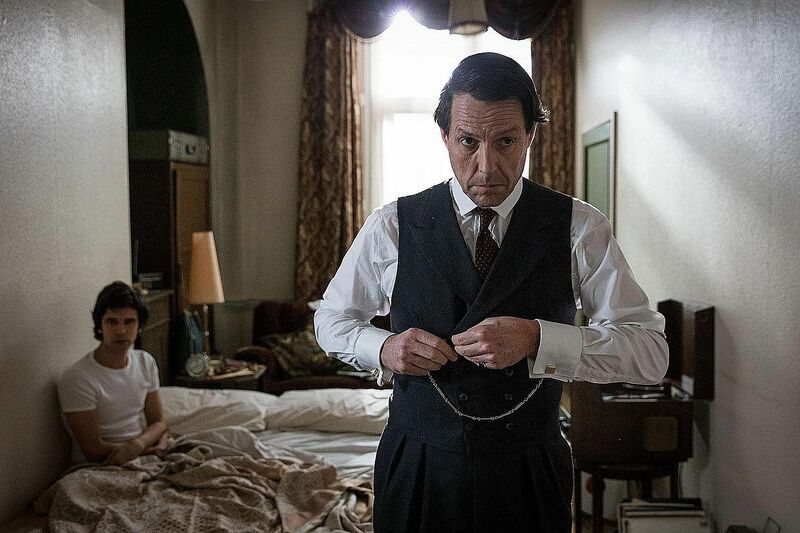 The protagonist of A Very English Scandal is capable of dark deeds too, but of a much higher order. The miniseries is based on a stranger-than-fiction true story. Political rising star Jeremy Thorpe (Hugh Grant), who becomes Britain's Liberal Party leader in the 1960s, has an affair with a young stablehand named Norman Scott (Ben Whishaw), and hides it because homosexuality is still illegal and overwhelmingly taboo. When Scott threatens to go public, Thorpe tries to have him killed, but the amateurs he hires bungle it. Thorpe and his co-conspirators then go on trial and the country is spellbound as the sordid details spill into the tabloids. Grant and Whishaw were both nominated last week for Golden Globe awards and you can see why. Often pigeonholed as a comedy and romance specialist, Grant is capable of far more range, emotion and subtlety than many of his roles allow, and he gets to show that off here, somehow giving this portrait of a master manipulator some humanity in the process. The details of the conspiracy, cover-up and the trial are so outlandish, they require little embellishment, and the series leans into the farcical, absurd quality of the proceedings. Yet, just when you think there is a little too much comedy, the series pulls back and pauses to acknowledge the historical context. In those moments, the viewer glimpses the profound sadness of men and women being persecuted by society for their desire - not just through legal and institutional means, but also through shame and loathing. He may have murder in his heart, but when Thorpe says he would kill himself if he is outed, you feel for him.